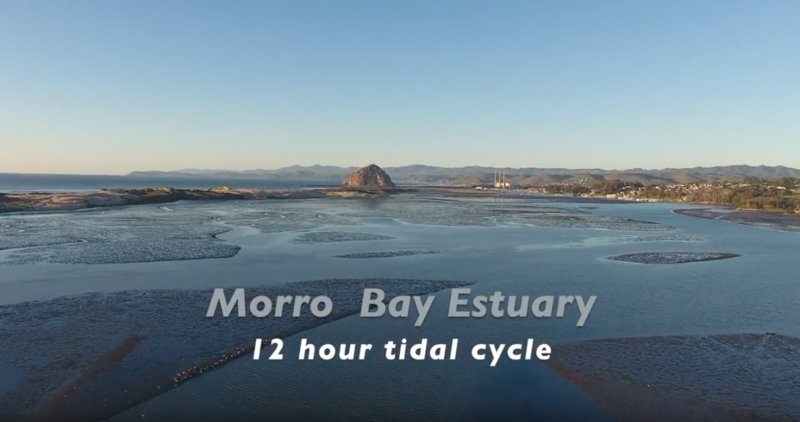 Freshwater flows into the Morro Bay estuary from creeks and saltwater enters the bay from the harbor mouth. The amount and rate of saltwater coming into the bay changes with the tides. During high tide, the mud flats and salt marsh can be almost completely underwater. During low tide, all of this land—and the plants and wildlife that live there—are exposed to the air. Local wildlife must be able to adapt to these rapidly changing conditions. Watch the time-lapse video below to see how much the bay changes during a twelve-hour tide cycle.